*Disclosure - Writers of A Madison Mom were invited to a preview day event for The Container Store in Livingston, NJ. They were provided with tours, information, lunch, and a gift card to shop in the store. All opinions expressed are those of the writers. 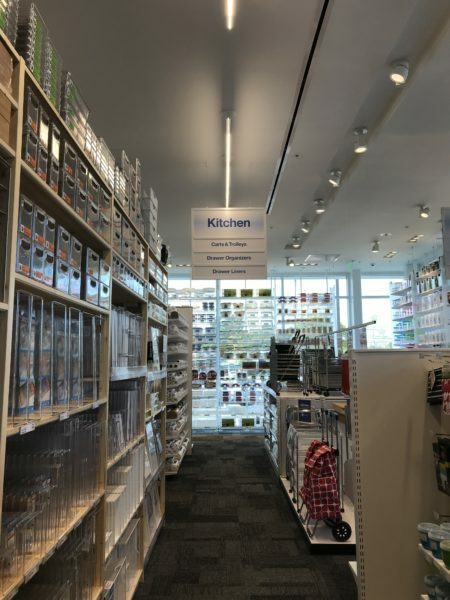 If you've never been to The Container Store, here is what you need to know...this store has everything you need to keep yourself organized and do it in style. There are boxes, gadgets and, of course, containers of all shapes, sizes and purpose. 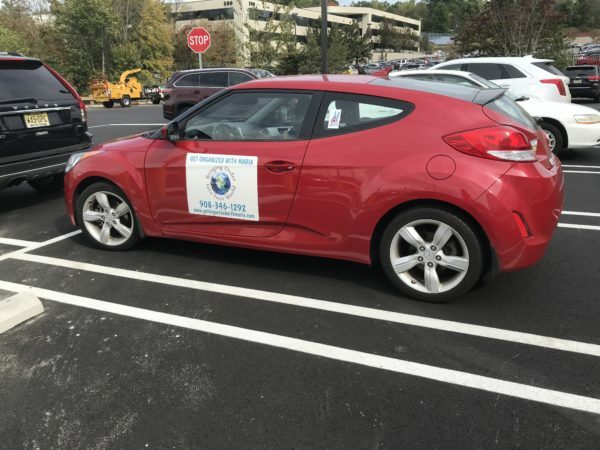 You ALSO need to know that a brand new location opened up this past weekend just off Route 10 (372 W Mt Pleasant Avenue, Livingston , NJ). A Madison Mom was invited to attend a preview day before the actual opening on October 7 and it was absolutely delightful! Three of our writers (Jaime, Beth, and Laura) were all able to attend together. Before we lived in Madison, we lived in Bergen County. Although Route 17 is less than my favorite place to spend time, The Container Store was always the exception to that rule. When I heard that we were FINALLY getting one in Livingston, just off Route 10, I was giddy! Seriously! Giddy meter, amped up to 11. 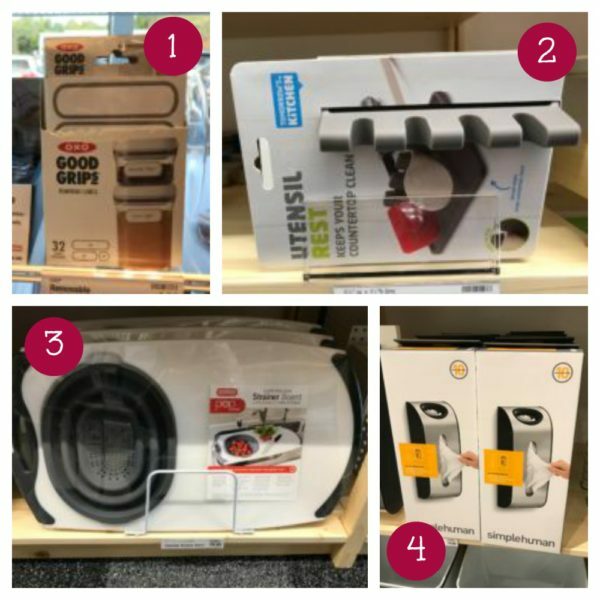 When you walk in the door of the 24,000 square foot store, you are at my favorite (also most dangerous) section of the store...the kitchen accessories. Here you will find all sorts of things that you both never knew you needed and also the hard to find items you might have been looking for. Take, for example, these air tight containers pictured below. Okay, so the sugar one (1) is specially designed to make pouring out sugar to measure easier and less messy. Then, look at the flour container (2)!! There is a removable bar in there that you use to level your flour measurement. I mean, come on! And as you walk through the store, you just keep finding little gems, like these pictured below. Who doesn't need a portable wine glass with removable stem AND lid (3)? Or a little screaming face-claw-thingamajigee (4) that can pull your oven racks out a little easier?? OR, these awesome chalkboard and spiral signs to label food when entertaining (5)??? -There are over 300 food storage solutions, 750 organized office products, 70 types of laundry hampers, 400 solutions to organize a traveler 70 styles of hangers, and so much more. That's a lot of beautiful, colorful, wonderful organizing right there. -They also offer free custom closet design services with many of their products. Lots of beautiful options there as well. I am already planning my next shopping trip. I hope you will too! I was over the moon and cleared my schedule when we got our invite to preview the new Container Store. No one at home understood, but they came to respect that this time would be sacred and no painter would start, no lunch would be forgotten, no phantom illness would flare up that day. I was not disappointed. The thing about the Container Store is that it lays out possibilities. An impossibly charming playroom, a drool-inducing craft setup, a junk drawer perfectly organized and filled with junk you really need but didn't know until you came here. I got a little light headed imagining the possibilities: something about a cotton swab organizer touched the Marie Kondo synapse of my brain (judging from the fact that her book has languished near my bathroom vanity for years, my brain hadn't quite forged a connection yet). This little container sparked joy inside of me. Sure, some would say that letting go of things will make you happy, but organizing what you have in things you love will give you bliss. Yes, that is an entire wall dedicated to plastic jewel-tone boxes of varying sizes and shapes, starting from about one-inch square. [Pause for angelic music to finish playing in your head.] My mind went in all different directions with ways I could use them, and how I could incorporate them into party favors for my daughter's next birthday. In the same area as these perfect boxes was the garage/laundry organization section--two rooms in my house that need dire help! 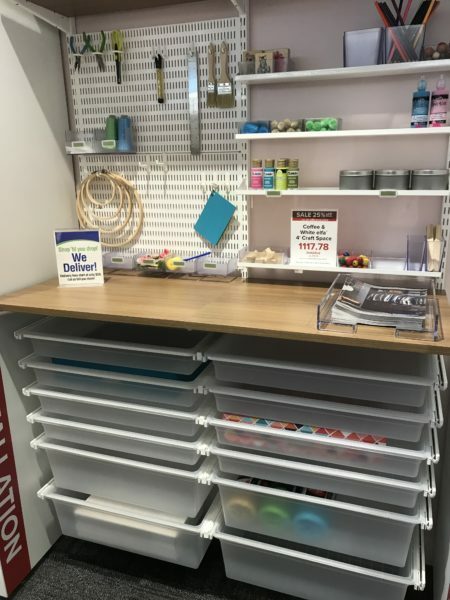 When I first heard of our Container Store preview opportunity, I ran around my garage and laundry room with a measuring tape, surveying what was working (nothing) and not working (everything) in terms of organization. The Container Store did not let me down! Garden tool holders and potting stations, rake and sports equipment hangers, wheeled laundry carts with hanging rods--they had it all! 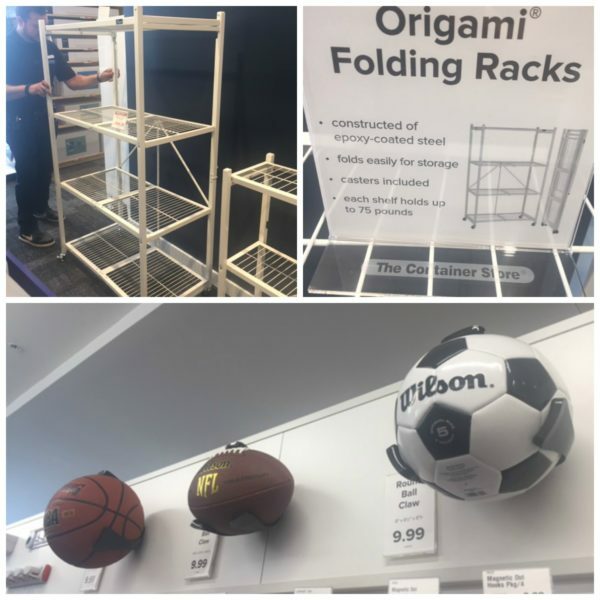 I was fascinated by the Origami Folding Rack. One of the workers kindly demonstrated how it works. With a few quick latches and flips, the shelves fold together and you are left with a narrow piece you can easily store. I think it would be perfect for anyone who sells wares at street fairs. That same worker helped me as I was contemplating whether a broom holder rack would fit hockey sticks. He found a rectangular piece of wood about the width of a hockey stick, and we spent a full 5 minutes clicking it in and out of various broom holders. I think I will need to return with an actual stick next time. Another clever sports storage device was in the next aisle over--an ingenious set of holders for storing various sports balls. Can't find your soccer ball before practice? Did you look in the rack? Ahhhh! There it is! In the center of the store was another theme near and dear to my heart--toy storage! Back in the "Legos-all-over-the-floor" days (OK, I admit, we are still in that phase some days! ), the multicolored Lego brick shaped storage drawers would have been a great solution! Nearby, I was drawn to a set of canvas boxes and bins decorated with adorable felt animals, including a raccoon, gorilla, fox, and hedgehog. I couldn't resist them, so I threw the raccoon box and hedgehog bin into my cart, figuring I would decide on which one to get for my sister for Christmas once I got to the cash register. Well, I couldn't bear to put one back, so she's getting both! Well.... I didn't get to go... but I'm thrilled that Jaime, Beth, and Laura were able to attend the preview event. I don't know how many of our readers personally know all three writers... but I knew before the preview that they would each go to the same event and come home with completely different things to tell us about. I love that they didn't disappoint. 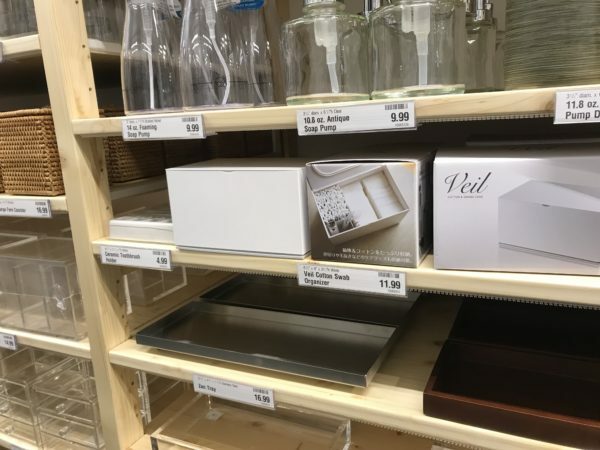 I can't wait until I have some time to run over to The Container Store myself. I just wonder which department I'll swoon over the most? 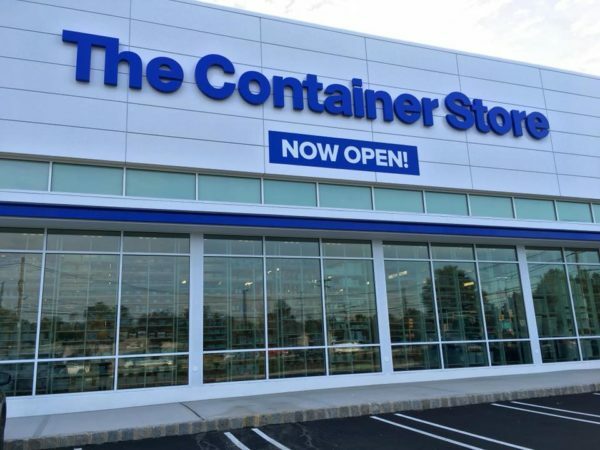 The Container Store is located at 372 W Mt Pleasant Avenue, Livingston , NJ. Hours are Monday - Saturday: 10 am - 9 pm and Sunday: 11 am - 6 pm. You can also find them on their website, Facebook, and Twitter.